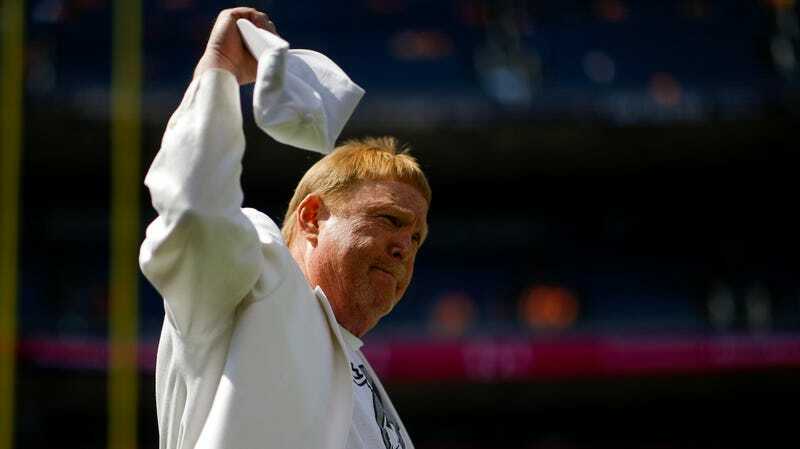 It’s no surprise that Mark Davis was asked about his recent thoughts on the Amari Cooper trade Wednesday at an NFL owners meeting in Irving, TX. Since getting shipped off to Dallas in October, the receiver has caught 40 passes for 642 yards and six touchdowns in six games. Those numbers clearly dwarf the stats he put up through six games in Oakland just prior to the move: 22 catches, 280 yards and a single touchdown. Yes, Davis decided to live up to the hands-on ownership pedigree established by his father years ago and sent Cooper not to the franchise with the best offer, but to the one whose owner helped the failson move his team from Oakland to Las Vegas. For the Raiders owner, this must have been a win-win. Not only did he repay a favor that Jerry Jones did for him, but he also got a chance to shed some salary that the team might not be able to afford in the future, what with the team and its owner being broke. Sure, he definitely torpedoed any chance the Raiders had of being competitive over the next few seasons, but what does that matter when you can save a few bucks in the process? Good to know that this isn’t Gruden’s fault, for once.